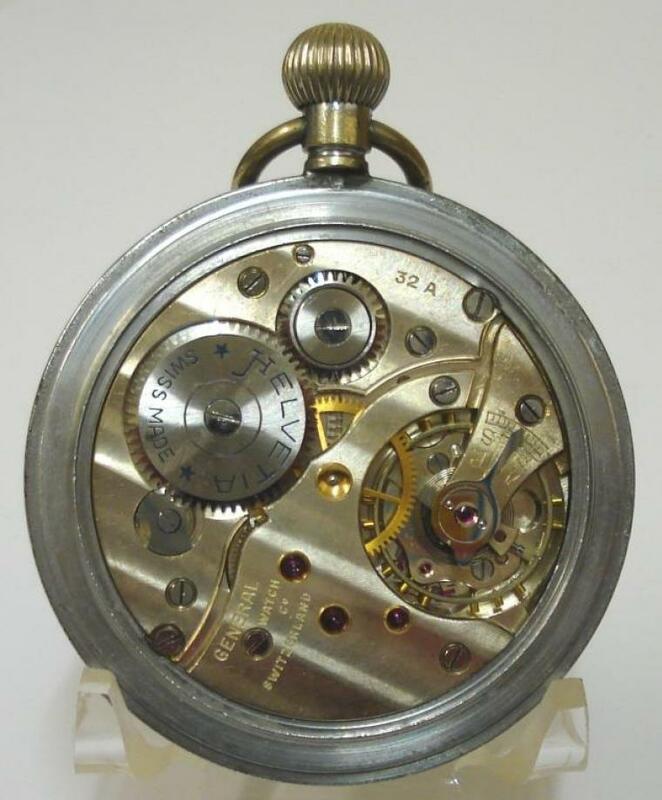 Stock Number: PWOF021 - Swiss Helvetia Ex-Military Pocket Watch - £275. 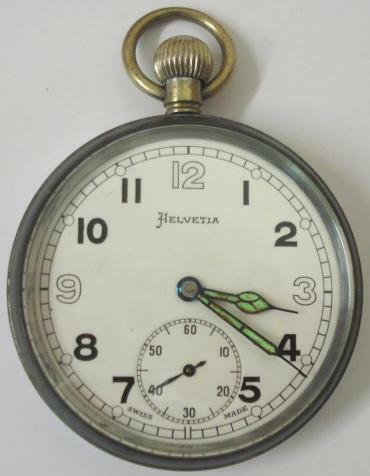 Swiss Helvetia chromed case ex-military pocket watch with top wind and time change. 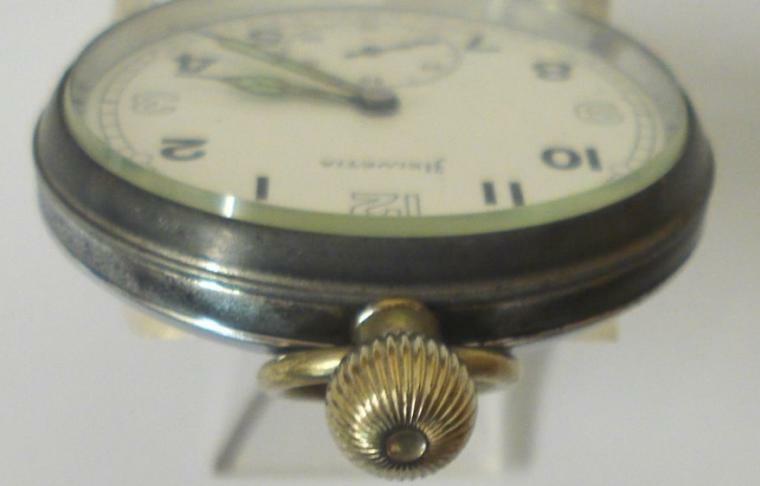 White enamel dial with black arabic hours and blued, luminous insert, steel hands and subsidiary seconds dial at 6 o/c. 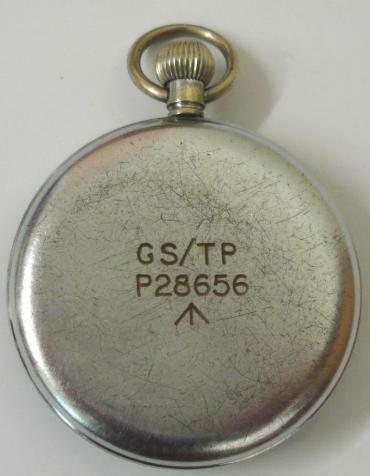 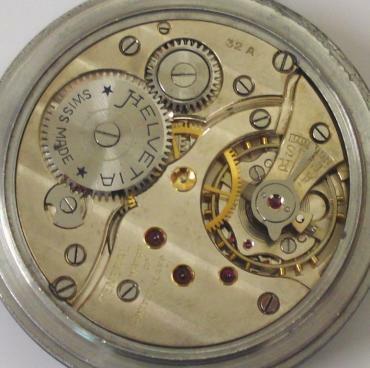 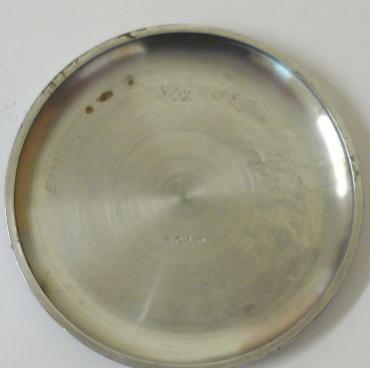 Swiss General Watch Co. manual wind lever movement with over-coil hair spring, the watch case back inscribed with the broad arrow mark and 'GS/TP P28656' and the whole housed in an external dust resistant two part case.